Case is truly a Dem in the DLC mold. Most notoriously, when he was running for Congress in 2002, he said he would have voted for the Iraq war resolution - and as late as 2006, he voted (and spoke) in favor of an open-ended military commitment in that country. He's also been a regular supporter of anti-progressive legislation like the bankruptcy bill and the PATRIOT Act. Meanwhile, you can look at Hirono's issue positions here. Basically everything is as good as you'd expect from a Hawaii Democrat. She's always been an opponent of the Iraq War (though she got elected to Congress too late to vote on it). Winning the general election shouldn't be too difficult, especially with native son Barack Obama at the top of the ticket in liberal Hawaii. 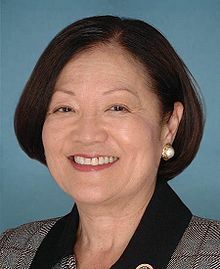 And Hirono has lately been winning her congressional district by margins of over 40%, so she should win a general election.